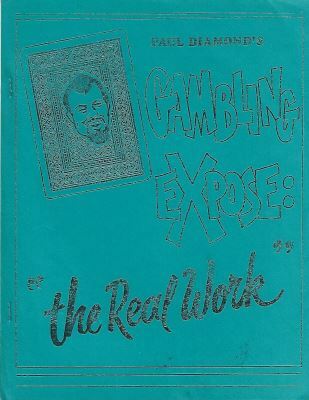 Diamond, Paul: Paul Diamond's Gambling Expose: "The Real Work"
Comments (Stewart Tame): On one of the back pages it says, "Lecture notes written by Tom Ladshaw." All pages are printed on one side only. I'm guessing at the 1988 copyright date becase of a small "3-88" on the last page. Although this lecture is geared more towards gambling, there is some material of use to magicians, particularly in the Cards section. 14 Paul's "Restoring the Cut"